What do you do after you publish your blog post? I hope this blog training in today’s post will help you start doing the right things. If you are interested in going through a comprehensive course on blogging from A to Z then you need to get Ray Higdon’s 3 Minute Expert Course. Especially when we first start we spend a good amount of time writing our blog posts. The last thing you want is for your blog posts to just sit there and do nothing waiting for people to find them. So now it’s time to start taking action after EVERY post you produce so that you can get the rewards of all your hard work. Remember that Content Marketing isn’t just about writing blog posts and then publishing them, it’s about so much more. If you want your blog to really grow and gain readers then you’re going to need to do more than just hit the “publish” button. Don’t worry, though; I will help you transform your blog into a hub of activity. The first thing is to follow up on all comments your readers are leaving on your blog posts. It baffles me when I see a blog where there isn’t any engagement in the conversation in the comments area. This is the best place for you to connect with your audience, answer their questions and interact with them. Comments on blog posts, however, can be extremely hard to get and can even take years for a blog to start seeing good activity in the comments section. In order to help the process along, make sure to respond to those who do leave a comment. Replying to comments can help to increase the amount of comments on that blog post and others as your audience will be more likely to engage if they see there is someone to engage with. If your audience has questions and ask them in the comments but don’t get a response, they won’t be likely to leave a comment again. I believe it to be important to explain everything you can about the topic you writing about. If you are only going to half answer a topic then your readers will start going somewhere else to find what they need. You also want them to come back again and again, which they will do if you take the time to answer their pain points using the content upgrade. Content upgrades will give your audience the option to find out more information whether they’re happy with the information provided in your post or not. For example, if I was doing a blog post on how to optimize the sidebar of a blog then I might add a content upgrade offering readers a downloadable guide to the top 10 plugins for their blog. Not only would this help to offer my audience more information on the topic but it will also help to build my contact list as the content upgrade would be gated. This is probably the most critical actions you can take after you publish your blog post. You already have a relationship with those who are on your email list. This is your most loyal audience and is already interested in what you have to offer because they took the time to optin to your list. The first sentence should explain why you’re emailing and contain an anchor text link to your blog post. The title of the blog post should be the next sentence and standalone so as to stand out to recipients. If you stay consistent with the structure of your emails then your contacts will begin to learn where to click without thinking. You can then include a couple of very short paragraphs to explain what the blog post is about and why it will benefit them if they read it. At the end of the second paragraph, you can include another anchor text such as “click to read more”. Within you blog posts you may naturally link to other websites and blogs, especially if you are referencing their products or training. You might assume that they will see what you have posted, but you would be surprised how many people just don’t monitor who mentions them on the internet. Since it’s a win-win situation when you mention them you should reach out to them and let them know that you have linked to them. This doesn’t mean that you email them or contact them through social media and request that they link to your post just because you linked to them. How about emailing them and letting them know how much you loved what they had to offer and because of that you mentioned them in your post. Much more professional way to approach the mentioning action! I’m a part of a number of reciprocal commenting and sharing groups that consist of like-minded entrepreneurs. Each day we agree to share and comment on the blog posts that are posted. Everyone posts all over the Social Media platforms and just hopes for some interaction and sharing. The most effective groups are ones that you are an active participant in along with the other members. Don’t be a spammer, spend the time to develop relationships with the groups you are a part of and then become an active participant. Last but not least, once you have published your post you should be monitoring your keyword rankings. While the long-tail keywords you’ve been targeting in your blog posts won’t have an effect on rankings instantly, it is important to track and monitor them. There are some very good tools online that you can use to monitor keywords such as Pro Rank Tracker. All you need to do is add the URL of your blog post as well as the long-tail keyword you have used in the blog post. You can leave this to track and monitor and revisit how it’s performing in a few weeks… not a few days. If after a month or so, if your blog post isn’t on the third page or higher in the search rankings then it is a sign that you targeted a keyword that is too difficult for you to rank for yet. If this is the case, you can simply go back to that blog post and edit it to use another less competitive keyword and check back again in a few weeks. If you follow these 6 steps after a publishing every blog post, you will start to see a lot more traffic heading your way as well as increased engagement. Make sure to respond to all comments made on your blog posts. Offer your audience content upgrades to capture their interest. Share your blog posts with your email list who may share on their social media for greater reach. Contact those who you have mentioned in your blog posts to say that you have mentioned them. Share your blog posts in forums and in Facebook groups when it is relevant and natural. Keep track of the keywords you are targeting in your blog posts. 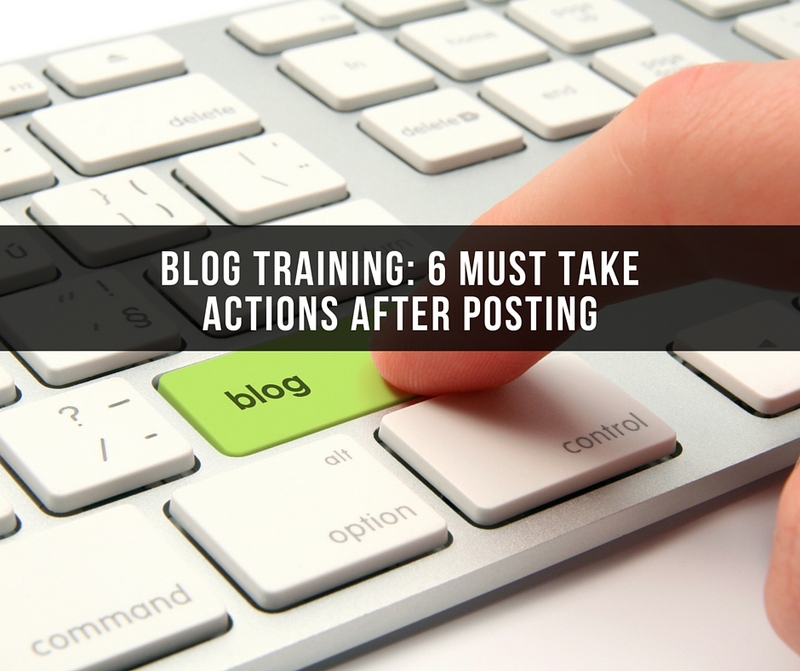 If you enjoyed this post, Blog Training: 6 Must Take Actions After Posting, then you will like this one too… Top Earner Secret To Creating Blog Content. Great points … I so glad Ray told us about how he doesn’t do the interviews if they just want something for them. Really great tips you shared today, Ron! Thank you! Great tips Ron. Always learning stuff from you. Thanks. 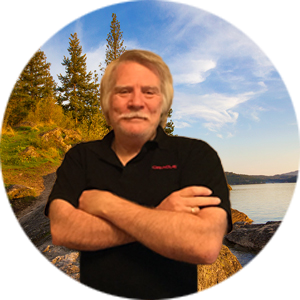 Great tips, Ron … and so simple to implement into my daily method of operations. Thanks! After you hit publish your work is really just starting. Getting it out there in front of your audience requires some work. These six steps are right on point on what to do after you do publish your blog post. Thanks for sharing this!